Numerous genes are known to regulate the cold response in plants. The ICE1 gene is a regulator of coldinduced transcriptome playing an important role in cold tolerance in Arabidopsis thaliana. Here, the Arabidopsis ICE1 gene was cloned and transformed into A. thaliana and Korean lawn grass (Zoysia japonica) respectively, under the control of a maize ubiquitin promoter. 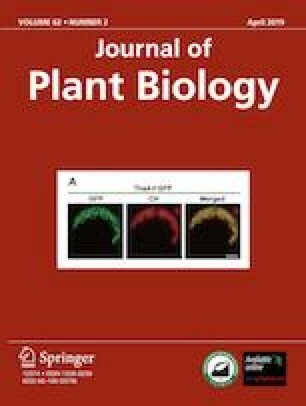 The transgenic Arabidopsis plants showed higher survival rate, less MDA content, and higher levels of proline, SOD, and POD after freezing treatment. In the case of Z. japonica, 43 transgenic plants were produced by Agrobacterium-mediated transformation. Southern blot analysis showed that 9 transgenic lines selected by phosphinothricin (PPT) were transformed with ICE1 independently. Cold treatment significantly induced the transcripts abundant in the up-regulated ZjCBF and ZjDREB1 in transgenic lines OE-18 and OE-19. Meanwhile, transgenic plants showed increased proline level but decreased MDA content and with higher activities of SOD and POD compared with wild type under cold stress. These results suggest that overexpression of the ICE1 gene could improve the antioxidative capacity in conferring cold tolerance to the transgenic zoysiagrass plants.